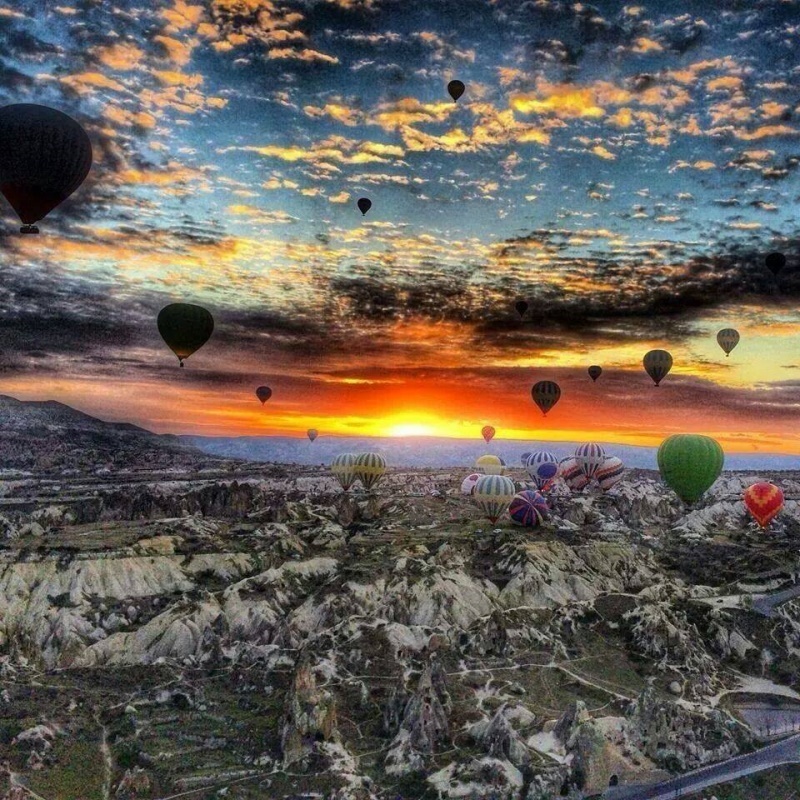 You arrive at Istanbul International airport.After you go to domastic airport then flight to Cappadocia. We pick you from Cappadocia airport and drive to your hotel in cappadocia. The Second Day in Cappadocia: youwill be picked up from your hotel at 09:15. The first stop is Göreme Panoramicview. You will see fairy chimneys. The second destination is underground city which is 2000 BC years old. You will go 8 floors down. The third destination is Ihlara Valley. You will hike about 3.5 km. At the end ofthe valley, you will have lunch in a village. After lunch, the next stop willbe Yaprakhisar Panorama where you will see conical shapes which are similar to‘Star Wars Movie Set’. And then you will be taken to Selime Monastry. You willcomprehend monastic life better when you get there. After Selime monastry youwill see Pigeon Valley. At the end of the tour, you will see onyx factory. (volcanic stone workshop). Your tour will finish at 17:30 and Drive to KONYA. We start 09:00 our tour and visit the Tomb of Rumi in theMuseum of Mevlana, an important place of pilgrimage for Muslims. 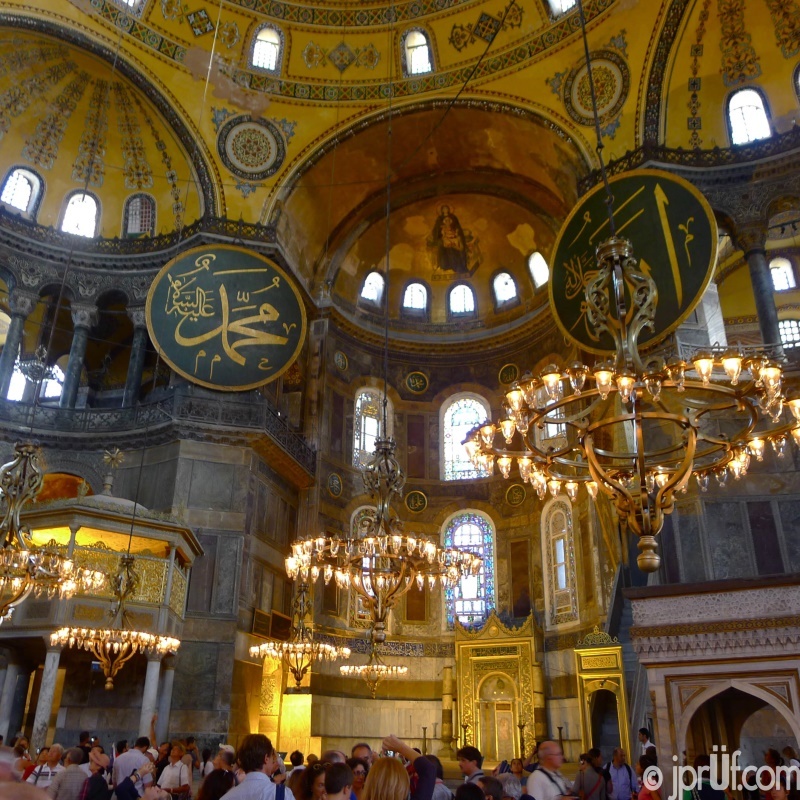 Then, we visitthe Ottoman-era Sultan Selim mosque before having lunch in a traditionalTurkish restaurant. After our lunch we drive to the Alaaddin Hill (aprehistoric tumulus) to visit the 1000-year-old Alaaddin Mosque. In itscourtyard are the tombs of many of the Seljuk Turkish sultans. Walking down thenorth side of the Alaaddin Hill we pass the remains of the Seljuk sultan'spalace, then cross the street for a view of the elaborate portal of the InceMinareli Medrese theological college. Then we drive Pamukkale. Upon your arrival to Pamukkale you will be metand transferred to your hotel. You will be picked up from your hotel at 09:30.Your Pamukkale day tour begins with a visit to the red springs in the nearbyvillage of Karahayit. We then enter Hierapolis from the North Gate, visitingthe Necropolis, Bath and Basilica, Frontinius Gate, Frontinius Street, Latrina,Northern Byzantine Gate, Fountain of the Tritons and the Temple of Apollon. You will be given free time to swim in theCleopatra Antique Thermal Pool (admission fee extra) and will finish theHierapolis portion of the tour with a visit to the large and well-preservedTheatre. We finish the tour with a visit to theTravertines (white calcium pools) where you will have time to take pictures andswim in the water. After leaving the site, we will have a late lunch, and thenwe drive to Kusadası. We will be at 20:00 pm in Kusadası and goto Hotel. The second day inEphesus: You will be picked up from your hotel at 09:30. You will seePergamon Acropolis and Asclepion,Ancient hospital, health center and propylaeumof the Temple of Athena. At the end of the tour,we drive to Bursa. We will be at 20:00 pm in Bursa and goto Hotel. Despite its smaller size, many of Bursa's Ottoman landmarks rival those of Istanbul. Best of all, this lush city, known as "Green Bursa", rests at the base of Mt. Uludag, a forested peak once thought to be the mythical Mt. Olympus. Enjoy a magical day of incomparable architectural wonders and natural beauty. We travel by ferry to Yalova, then by luxury coach to the city of Bursa*, which dates back to the 2nd century B.C. The first capital of the Ottoman Empire, Bursa is one of the greatest treasure houses of Islamic architecture. Green mosque and Green Mausoleum will be first stop in Bursa, both built by 5th Ottoman Sultan Mehmet Çelebi in 15th century. Then we will climb up Uludag Mountain by cable car and have fun with magnificent city view. You will want to take photo in every seconds while passing through forest with lots of tree species. You will go to top of mountain which is 2.486 metres above sea level and feel fresh air. We will have lunch on the Mountain with Barbeque. Next, you will see gorgeous Old Tree which is more than 600 years old. While coming back to Istanbul, we will stop one of the most famous delight factory with most delicious ones in Bursa. At the end of the tour,we drive to Istanbul and transfer to hotels. The First day in İstanbul: Upon your arrvial to İstanbul,you will be met and transfferred to your hotel. You will be picked up from yourhotel at 09:30. This tour includes a guided tour of Golden Horn, a visit toSpice Market & Private Cruise Boat trip on Bosphorus water channel. At theEnd of the tour, you will be dropped to your hotel. The Second day inİstanbul: you will be picked up from your hotel at 09:30. You will see Oldcity -Sultanahmet area walking tours visiting Hippodrome and Blue mosque, HagiaSophia Museum & Topkapi Palace and Grand Bazaar. At the End of the tour,you will be dropped to your hotel. The Third day inİstanbul: You will be picked up from your hotel at 09:30. This tourincludes Bosphorus with a full day morning cruise tour. After lunch stop andexplore the highlights of Bosphorus such as Beylerbeyi Palace with our guideand see the panoramic view of Istanbul from the Camlica which is the highestpoint of city. At the End of the tour you will be transferred to Airport. ​All transfers and touring as per itinerary fromarrival to departure.